What the Bleep is Tapping? I am a big fan of EFT (Emotional Freedom Technique) or ‘Tapping’ as it is known. 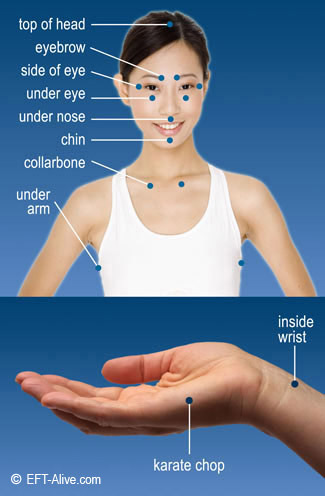 It is a form of acupressure, like acupuncture but without the needles. It is clinically proven to work on so many issues. Originally used in the medical field, it is now widely used in the personal development field to achieve success and release limiting beliefs. Tapping was, and still is, my most effective tool for reducing pain levels. And best of all, it is easy to use, and it is FREE to find thousands of tapping practitioners and their amazingly helpful videos on the Internet. You have nothing to lose by trying it, and oh so much to gain. Margaret Lynch is one of my favourite EFTers. Her videos are really easy to follow along with. She covers all sorts of areas: anxiety, fears, success and abundance. I really like her easy, informal style and her tapping statements are very believable for me, which is a huge factor in the success of the technique. Margaret is also talking about her new work and discoveries in this season of Healing with the Masters FREE teleseminars. If you are quick to register, by clicking on the picture below, you may just catch her as they are available for only a couple of days. 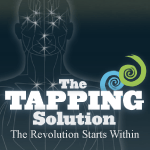 If you would like to study Tapping further, Nick, Jessica and Alex Ortner produce the best materials, and they host a Tapping World Series every year, similar to Healing with the Masters, where they interview the best teachers of tapping and you can listen for FREE. You can check out their website by clicking on the image below.